Apple boss Tim Cook is taking aim at social networks’ privacy issues. Meanwhile Facebook CEO Mark Zuckerberg has been keen to point out the iPhone’s dominance. Where other industries stick together in the face of regulatory challenges, tech is making politicians’ work easier. 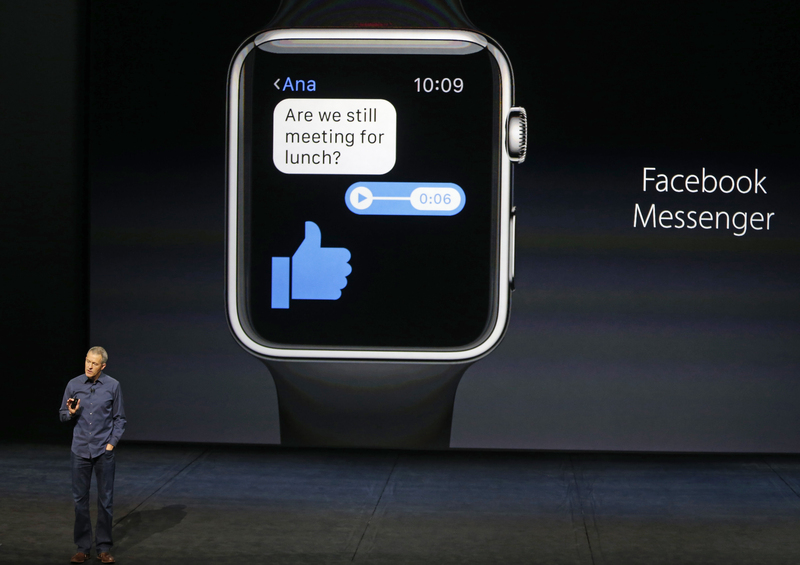 Jeff Williams, Apple's senior vice president of Operations, speaks about the Apple Watch and Facebook Messenger during an Apple media event in San Francisco, California, September 9, 2015. Apple Chief Executive Tim Cook said on Dec. 3 that those who seek to push hate and violence have no place on Apple’s platforms. “If we can’t be clear on moral questions like these, then we’ve got big problems,” Cook said during an acceptance speech for an award given by the Anti-Defamation League. Google Chief Executive Sundar Pichai is schedule to testify before the U.S. House Judiciary Committee on Dec. 11.